Running the data for Copyblogger Media is no small task, so we’re big fans of tools that make our lives easier. At the top of that list is Raven Tools’ marketing software. 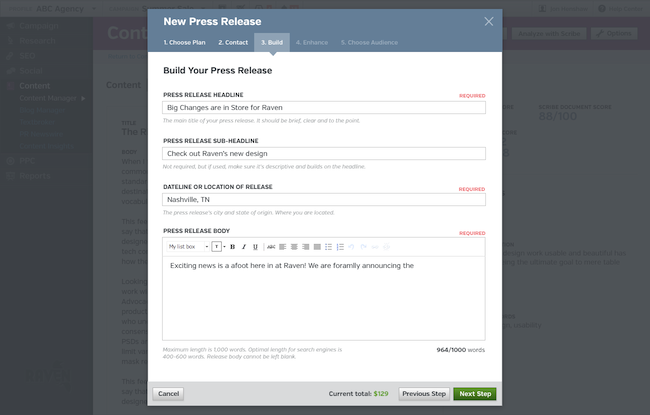 And yes, we love them even more for the fact that Raven’s Content Manager tightly integrates with our Scribe content marketing software system … but that’s just one of many reasons. Like us, the Raven team is constantly working to improve their software and to make sure it meets the needs of the ever-evolving content marketing industry. 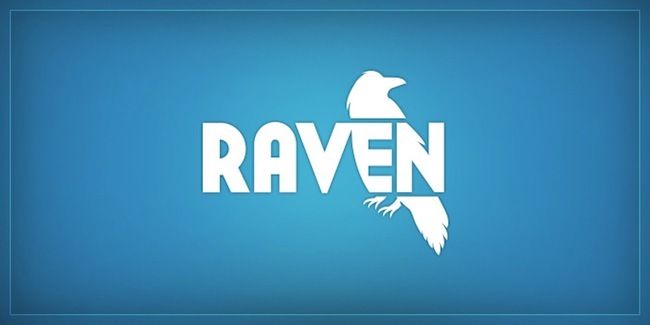 I just found out that they’re about to update their Raven Content Manager in a major way, and I couldn’t be more excited. What’s ahead for Raven, and — more importantly — what does it mean for you? 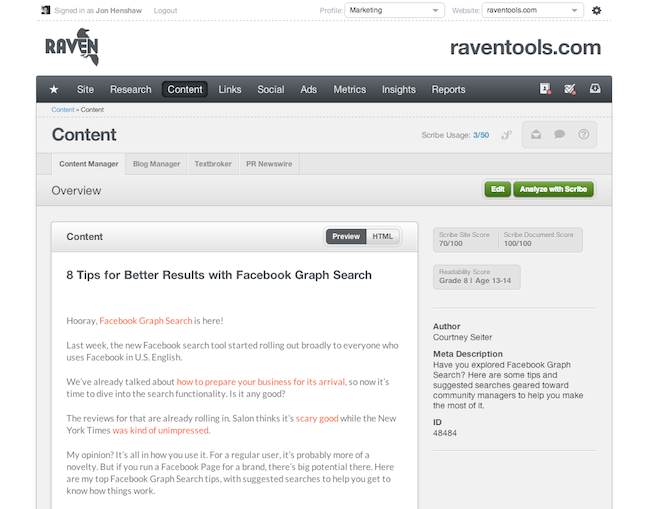 First, the entire Raven site has been redesigned for simpler and faster navigation. This new design helps content creators focus on the most important thing — getting what you need and getting back to work. It’s such a simple change, but it’s significant. When we moved the main navigation from the top of our software to the left, all of a sudden there was a lot more room in the browser window. We took advantage of that space to show more data in one view. 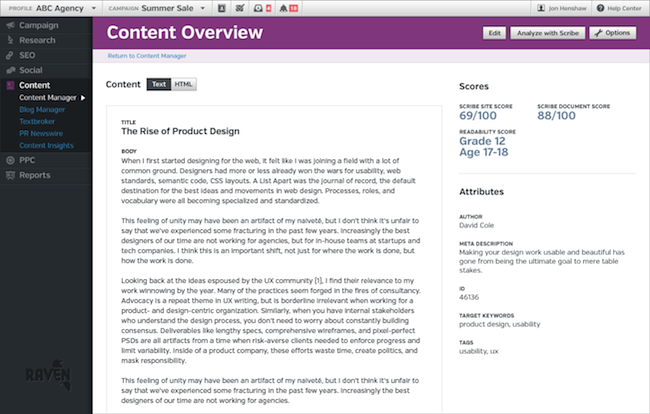 Raven plans to launch the new, simpler Raven — along with a new rankings tool and report — in early August. If you want to be the first to find out when it’s ready, jump on the Raven email list right here. And, if you’re feeling a little weird about waking up every morning for the next week or so and hitting refresh on your Raven account, hoping to see the new design, know that you’re not alone. Jessica Frick is Rainmaker Digital's Executive VP of Operations. She oversees the planning and production of all Rainmaker Digital events. Following her on Twitter might be the easiest thing you do all day.